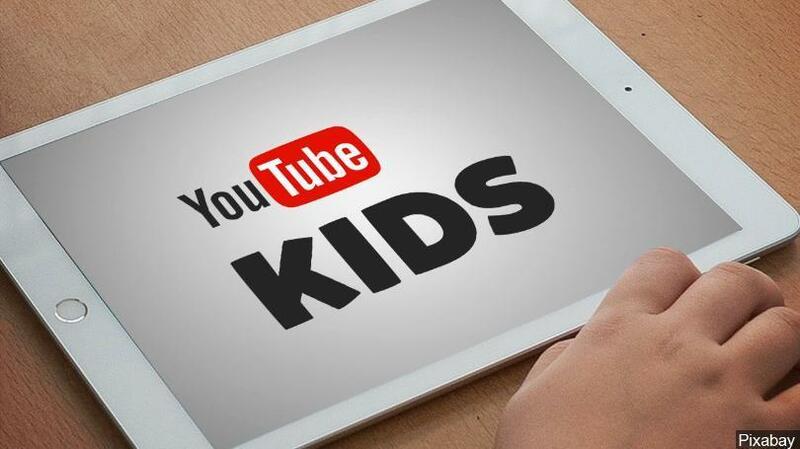 horrify children on various sites including YouTube and WhatsApp. 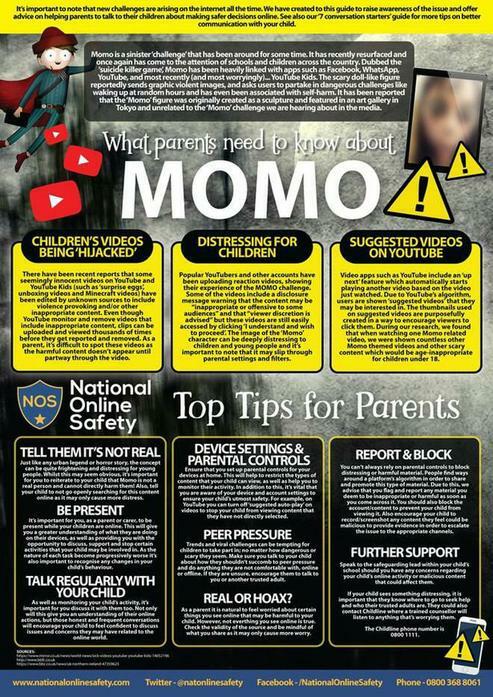 We have become aware that some children have seen this in their homes and, therefore, please see the guide below which provides information and tips to better monitor online activity and have meaningful conversations with their children about online safety. Please get in touch if you have any queries regarding this matter. The digital World is fast overtaking the real one and we feel it is important for school and parents work together to ensure our children are safe both in the real world and online. Below are some 'Top Tips' for keeping your child as safe as they can be online along with useful links. Be a part of their online life; involve the whole family and show an interest. Find out what sites they visit and what they love about them, if they know you understand they are more likely to come to you if they have any problems www.thinkuknow.co.uk/parents has films, games and advice for parents and children from 5. For children of this age, it is important to keep internet use in family areas so you can see the sites your child is using and be there for them if they stumble across something inappropriate. Nowadays even the TV connects to the internet. Make sure you’re aware of which devices that your child uses connect to the internet, such as their phone or games console. Also, find out how they are accessing the internet – is it your connection, or a neighbour’s Wi-Fi? This will affect whether the safety setting you set are being applied. Set controls on devices that link to the internet, such as the TV, laptops, computers, games consoles and mobile phones. Parental controls are not just about locking and blocking, they are a tool to help you set appropriate boundaries as your child grows and develops. They are not the answer to your child’s online safety, but they are a good start and they are not as difficult to install as you might think. Service providers are working hard to make them simple, effective and user friendly. There is a link on the 'Think u Know' website which can help you find your service provider and set your controls. Personal information includes their messanger ID, email address, mobile number and any pictures of themselves, their family and friends. If your child publishes a picture or video online, anyone can change it or share it. Remind them that anyone could be looking at their images! If you child receives spam remind them never to believe them, reply to them or use them. It’s not a good idea for your child to open files from people they don’t know. They won’t know what they contain—it could be a virus or worse—an inappropriate image or film. Therefore it’s better to keep online mates online. They should never meet up with any strangers without an adult they trust.